We are delighted to invite you to join us as we journey together! Click the link to subscribe below, and each day between Passover and Shavuot, we will send you an email with words of poetry, meditation, reflection, inspirational sacred text or song. You may be wondering what this journey is all about. As we prepare to begin our travels together, we want to share with you some background information now. An Omer is a sheaf or measure of barley or wheat. The Omer is also the name for the 7 week period of time between Passover and Shavuot. In ancient times, the Omer period was significant agriculturally as it marked the period of time between planting and the spring and summer harvests. Over time, Jewish tradition connected the Omer period with various spiritual practices, including refinement of the soul. The Omer period is 49 days. These 7 weeks mark the time between the holiday of Passover and the festival of Shavuot, when we celebrate receiving the Torah on Mount Sinai. We count the days, beginning with the second night of Passover and continuing until Shavuot. Our counting reminds us that no two days are the same. We are encouraged to make each day count. In addition, our Counting of the Omer encourages us to see this seven week period as a pilgrimage. On Passover, we celebrate leaving Egypt, which represents a narrow place of constriction and limitation of choice. We journey out into the open space, which is liberating but also uncharted terrain, where we may encounter doubt, uncertainty and fear. As we learn to be in the unknown, we also internalize a vision of faith and discover ourselves feeling a new sense of belonging, more connected and at home. Symbolically, this moment of arrival is Sinai and Shavuot. The Counting of the Omer begins on the second night of Passover. The tradition includes the offering of a blessing and an actual counting of what day of the Omer it is. Since the Jewish day begins at sundown, we count the Omer in the evening. We do this for 49 days. Because the Omer period truly is a journey of the soul, we have designed a series of offerings to guide us on our pilgrimage, with the awareness that not only is each day different but that there are stages that we will walk through and that each stage involves specific challenges, teachings, and tools. Each day we will send you an email with words of poetry, meditation, reflection, inspirational sacred text or song. Our hope and prayer is that these offerings will enrich your journey through the Omer and help nourish you during this season of cultivating our souls. And again, we journey through the wilderness together. Rabbi Jill Berkson Zimmerman is a visionary with a plan. She founded The Jewish Mindfulness Network (JMN) which has evolved into A Path With Heart to create a variety of welcoming experiences and environments that enable people to discover personal meaning from the depths of Jewish texts, mindfulness practices, and through community. She is dedicated to a Judaism that matters, a Judaism based in mindfulness. At every step along the way, Jill has lived her vision of building and sustaining community, taking her from teacher, activist, Organizational Development consultant, local and national lay leadership positions and culminating with her decision to become a Rabbi at age 47. Jill’s commitment to building a vibrant and welcoming Judaism has continued to grow and flourish. After her ordination in 2009 from Hebrew Union College-Jewish Institute for Religion, Jill completed the two-year Clergy Leadership program in spiritual practice and mindful leadership from the Institute for Jewish Spirituality. In addition, she received a certificate from the Jewish Mindfulness Teaching Training program. She is also a Master Gardener. Rabbi Jill is an independent rabbi, having left the congregational rabbinate to focus full-time on teaching Jewish spirituality and mysticism, meditation and mindfulness around the country. She teaches as a Scholar-in-Residence, at retreats and workshops, as well as through webinars. She is available for private study. Rabbi Jill teaches in Orange County, CA and is a member of the rabbinic team at the Jewish Collaborative of Orange County. She officiates at weddings and funerals, baby namings and house blessings. She is able to work with couples and families around the country through Skype. 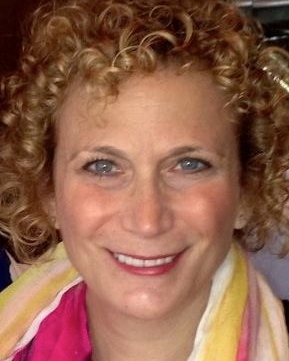 Rabbi Jill has served congregations and Jewish organizations both in the States and in Israel. She was Rabbi at Temple Emanuel in Beverly Hills, CA (Director of Building Community and Membership), Temple Beth El in Riverside and Etz Rimon in Carlsbad, CA. In Jerusalem, she worked at the World Union for Progressive Judaism, assisting them in carrying out their Strategic Plan. She is an avid photographer and has an insatiable love of reading and books (and their dog, Bo). She is also a social justice activist, and a member of the executive team of the Jewish Coalition for Refugees in Orange County. She is a proud member of T’ruah and HIAS. Rabbi Jill is originally from Skokie, Illinois. She lives in Southern California with her husband of 39 years, Ely. They have two sons, Josh and Ben. She can be found here at ravjill.com. Rabbi Cindy Enger is delighted to join the staff of the CCAR as Director of Rabbinic Placement as of July 1, 2017. She brings a wealth of experiences to this position and, with her unique background, she understands the views of both rabbis and lay leaders in congregational life and in Jewish organizations. Rabbi Enger is a leader who combines an understanding of vision and mission with organizational and spiritual leadership. Rabbi Enger has served as a congregational rabbi in Bellingham, Washington, and in Chicago, as well as an organizational rabbi at the FaithTrust Institute in Seattle. At the FaithTrust Institute, she developed and directed the Jewish Program, working with both rabbis and congregations. Prior to entering the rabbinate, Rabbi Enger worked as an attorney in Chicago, first in a large law firm and later as an Associate Public Guardian on behalf of abused and neglected children and disabled adults. During that time, she served as a Temple President when her congregation entered into the search for its first rabbi.